Do you use a computer a lot? 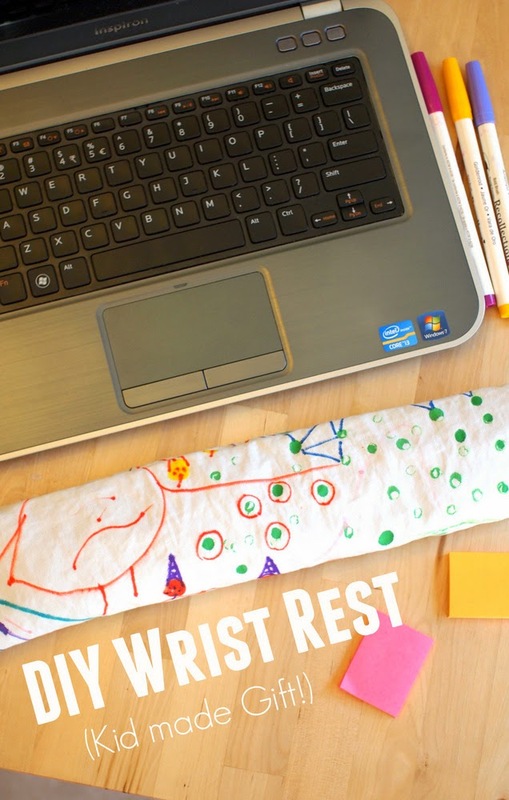 Do your wrists feel sore? Lately hubby's been working long hours on his laptop. Chuck and I were worried because he started noticing that his wrists hurt. Yikes. So we whipped up this computer wrist rest for him for FREE! Yup! We didn't need to buy anything super fancy because we already owned all the materials. 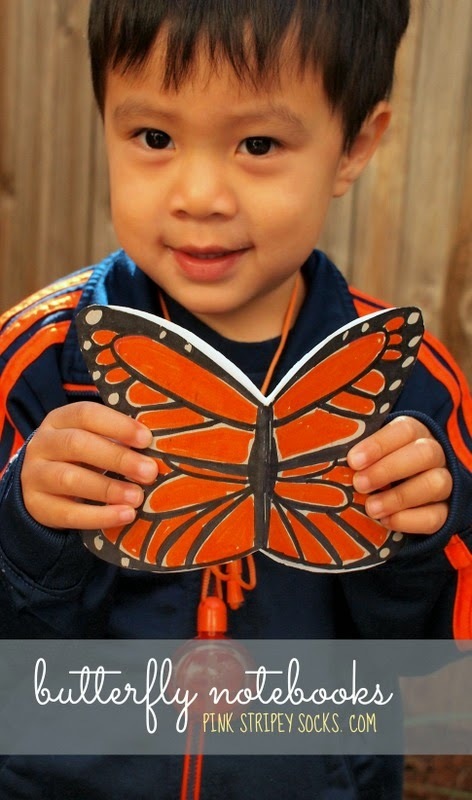 Wouldn't this make such a cute and useful DIY gift for kids to make? Ah Easter. It's the holiday where everyone makes crafts featuring eggs and small fluffy animals. Over the years, I've made Easter egg weebles, Egg carton Wreath, Confetti eggs, and even this Cardboard bunny tissue holder . 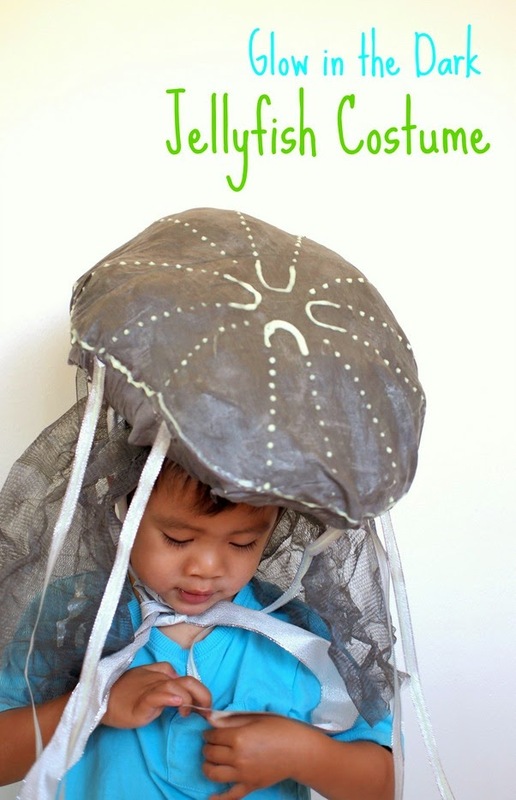 While looking through old posts, I saw that I have also done quite a few eggshell crafts too! Eggshells are a great craft material because they're cheap AND you can easily change their colors. 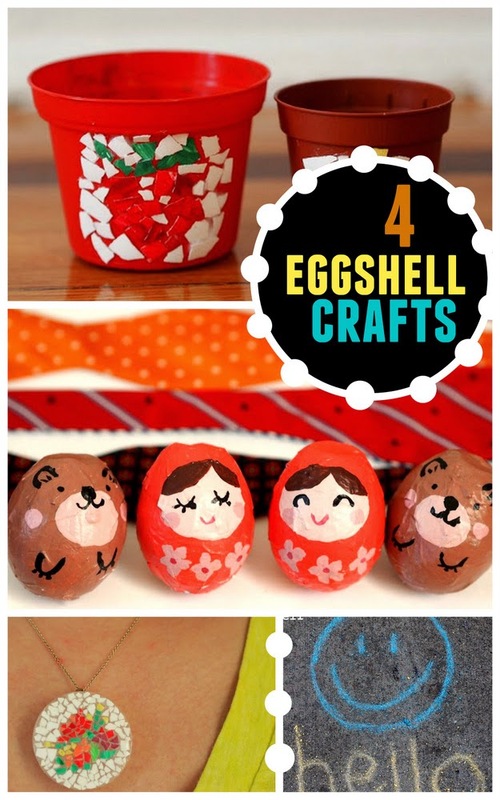 So today let's take a stroll down memory lane and review these 4 pretty awesome eggshell crafts. 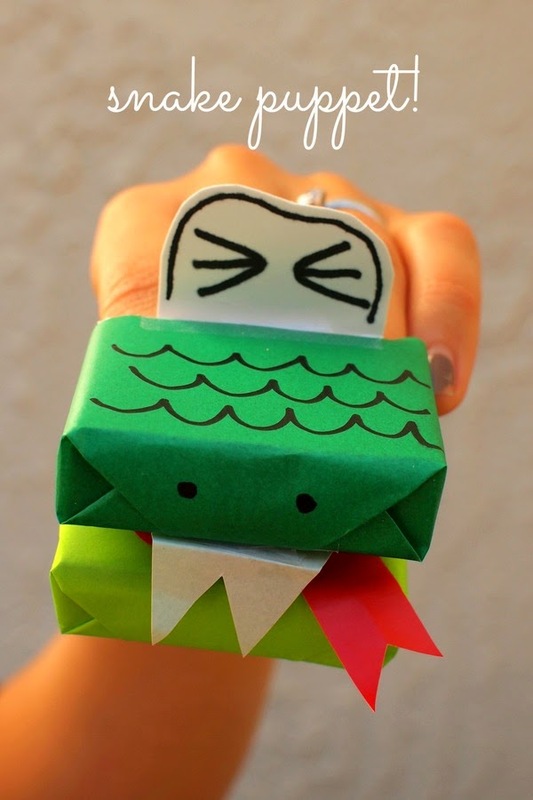 Looking for a fun snake craft? Yup. Chuck still digs snakes. Now, we've made our fair share of snake crafts around here... (Check out our twisty snake sculpture, moveable cardboard snake, and bubble snakes!) But today I thought I'd just share a really easy snake puppet that I recently made for him! Ah, paper cups. 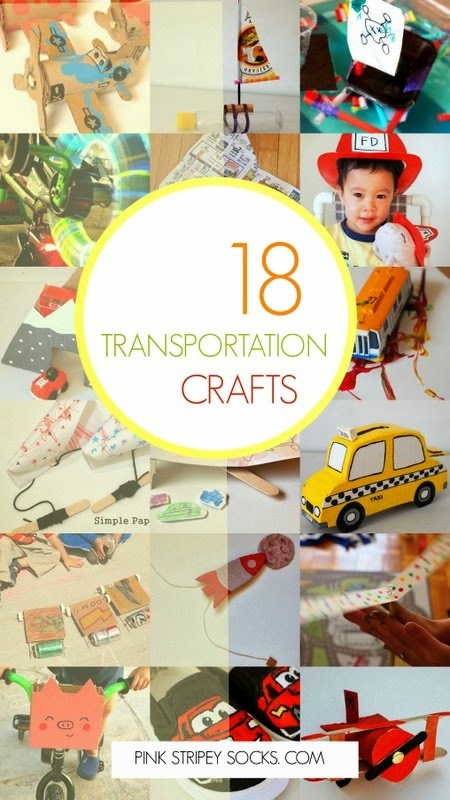 They're such a great crafting material because they're versatile and cheap. 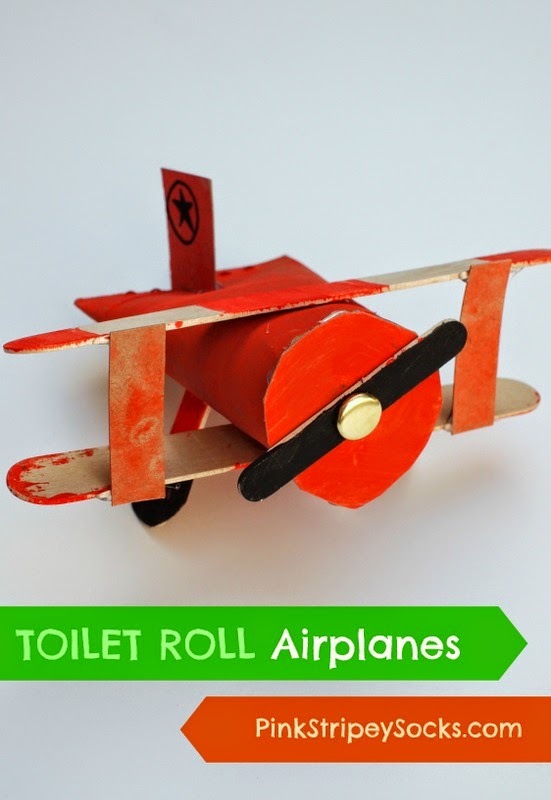 We've used them to make DIY Animal Nose Paper Cups and popsicle stick ice-skating dolls. 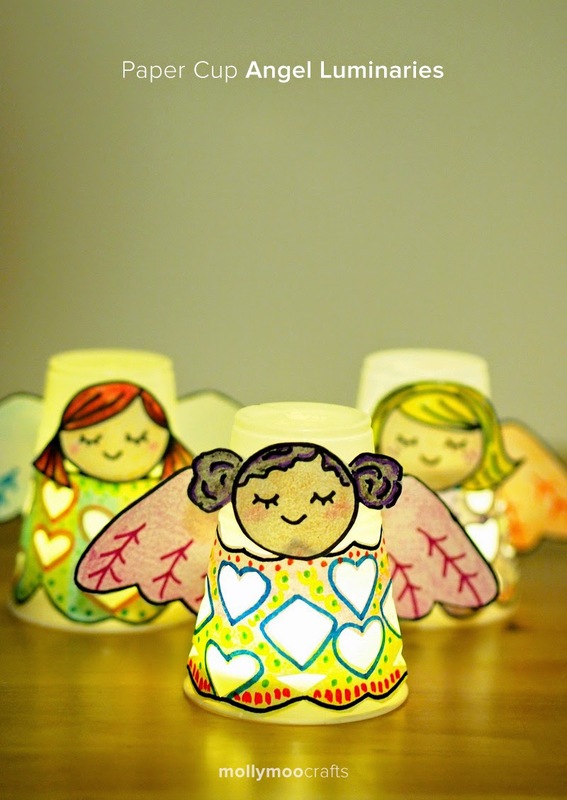 Today I'm over at MollyMoo sharing how I turned a couple of plain old clear plastic cups into cozy, glowing Paper Cup Angel Luminaries! 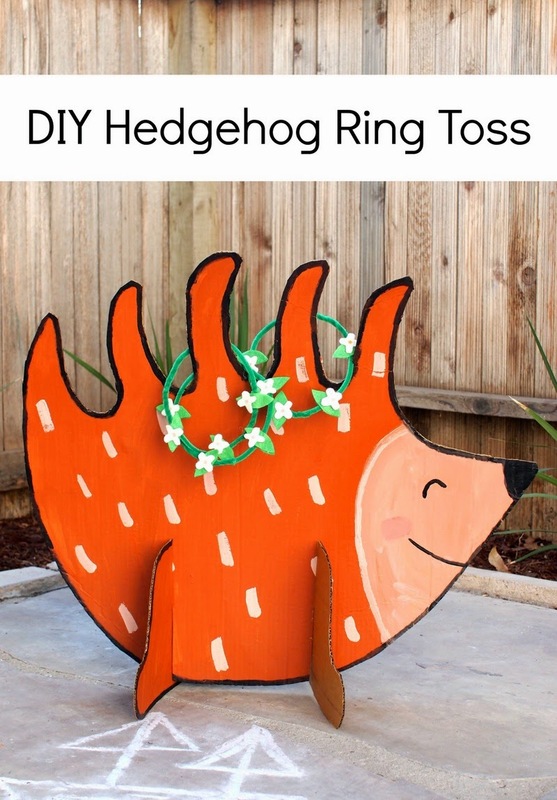 Wouldn't these be such a magical craft to make with the kids? Ever wonder why corrugated boxes are so strong? Since we've started unpacking, I'm surprised by how well our boxes held up. Even after being shipped across the country, our stuff is intact and our boxes still look good. Wow! 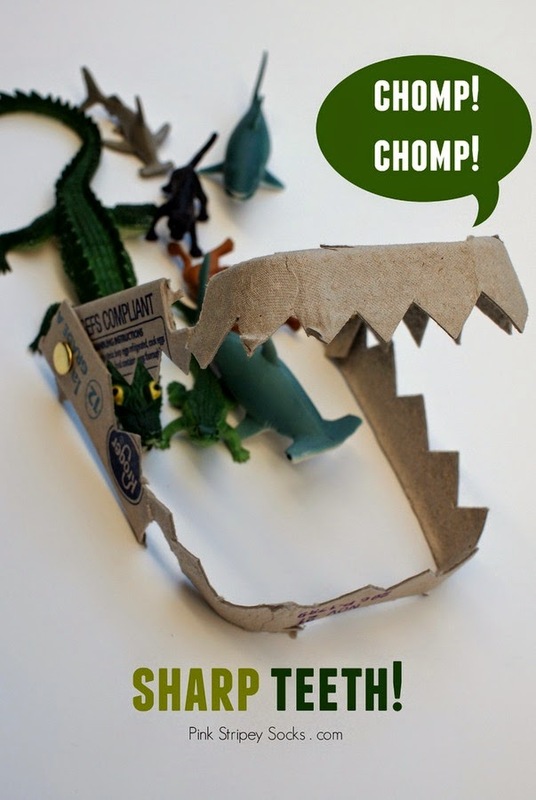 Those folded bits really make corrugated cardboard strong! This thought inspired me to try building some simple cardboard bridges with Chuck. This way we could see for ourselves how folds made cardboard stronger. 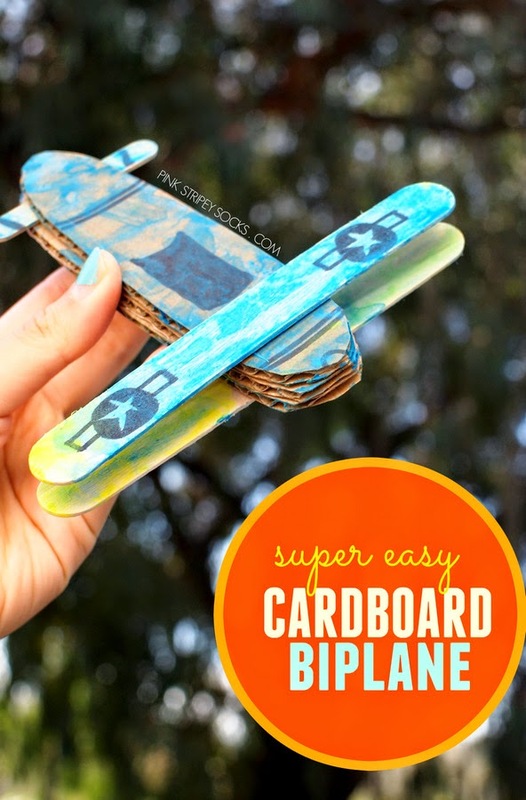 Easy Kid Engineering: Let's Cardboard Build bridges! Lately we've been reading books on pirates around here. Arrrrgh maties! So I thought it would be fun if we tried our hands at building some boats from everyday materials. (I saw a similar idea from i2camp's Instagram feed and really wanted to try it out.) This was a fun engineering activity that required very little prep and just used random items from our crafting and recycling bins. Kids' Engineering: Let's Build Boats!